Kawasaki’s Ninja H2 and H2R were undoubtedly the stars of the show at Motorcycle Live, despite the heafty price tags swinging from their bar ends. The road version will trouble your wallet for a relatively healthy £22,000, while the fire-spitting H2R track bike will require you to hand over £41,000 before they'll let you have the keys. The supercharger pairing have been grabbing the headlines with their technology and serious power figures – especially for the H2R, which claims to be developing over 310bhp. 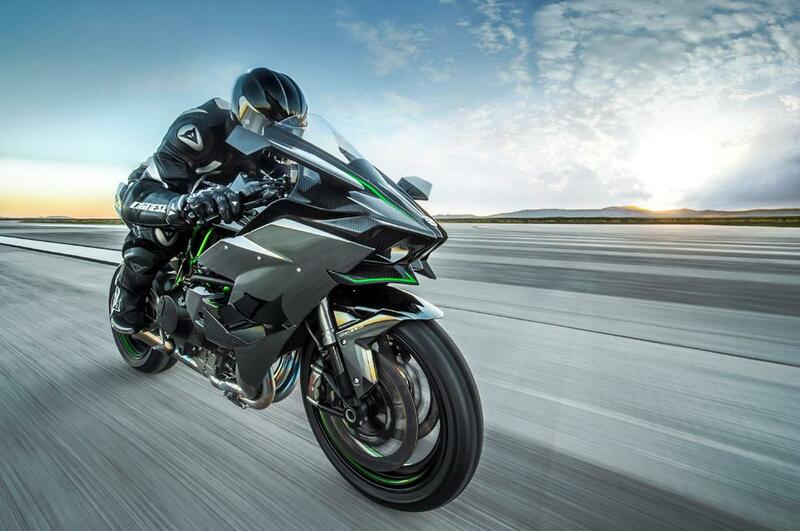 The road-going version will be no slouch, either, with Kawasaki claiming that it will be gifting the rider something over 210bhp, at a relatively low 11,000rpm. Moreover, Kawasaki claim that the H2s will lay their power down with a whole new sensation of acceleration. 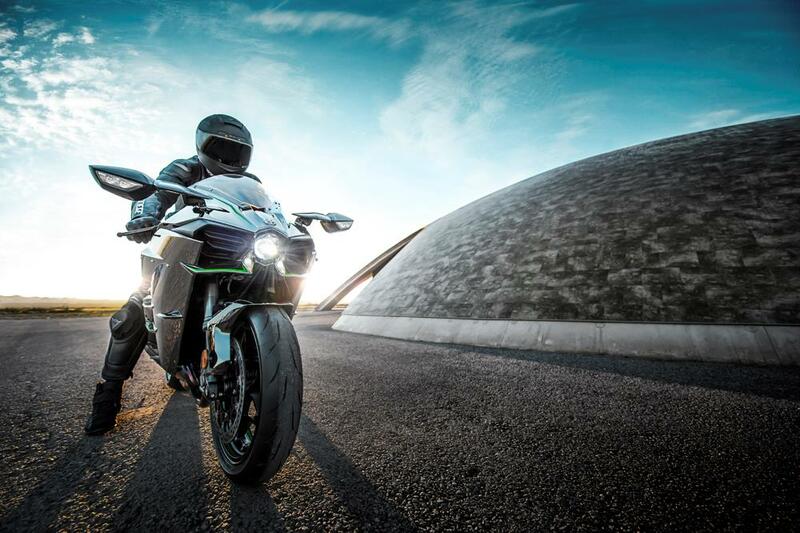 The headline difference between the H2R and road-going H2 is the 100bhp+ power drop. This has been achieved by using different inlet and exhaust cams, and the necessary road-legal exhaust system. Other concessions to road riding include a centrally mounted Cyclops LED headlamp, the removal of the large waist aerofoils, and the replacement of the top ones with aerodynamic mirror stalks, which also incorporate the front indicators. There’s obviously a numberplate hanger, and the offside air intake is blanked off, as the supercharger is fed from the left scoop. The supercharger is driven by a planetary gear train that runs off the crankshaft, using a gear train to increase the impeller speed to 9.2 times the crank speed. So, at 14,000rpm, the impeller shaft will be spinning at almost 130,000rpm. With so much power on tap, and problems with cooling and supercharger routing to solve, the H2 uses a trellis frame, made primarily from high-tensile steel, which is aimed at balancing stiffness and flexibility, and helping to facilitate the effective dissipation of engine heat. Controlling the front end is a new KYB AOS-II fork, based on the Air-Oil Separate cartridge fork developed for motocross. It’s the industry’s first use of this type of fork on a road motorcycle, while the rear mono-shock, also KYB, is a more conventional unit, supporting the entirely unconventional (for Kawasaki) single-sided swingarm. Expected to be arriving towards the middle of 2015 – the lucky few look certain to be very happy with their exclusive club membership.